This agreement contains the complete Terms & Conditions that apply to your rights and obligations when using nidski.com ("the Website") (referred to throughout as "we" or "us" or "our"). If you wish to use the Website including its tools and services please read these Terms carefully. By accessing the Website or using any part of the Website or any content or services, you agree to be bound by these Terms. If you do not agree to all the Terms, then you may not access the Website or use the content or any services in the Website. A user of the Website is referred to as "you" or "your" throughout these Terms. You are prohibited to do the following acts: (i) use our Website, including its services and or tools if you are not able to form legally binding contracts, are under the age of 18, or are temporarily or indefinitely suspended from using our Website, services or tools; (ii) post an item in an inappropriate category or areas on our Website; (iii) collect personal information about users; (iv) manoeuvre the price of any item or interfere with other users' listings; and (v) post false, inaccurate, misleading, defamatory, or libellous content. 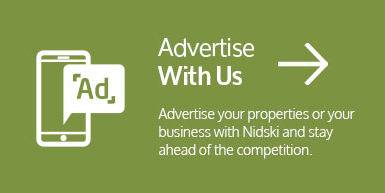 We are not an estate agency or developer. We provide a platform to bring consumers, agents, developers and advertisers together. The details of properties available on this Website are provided to us by third party estate agents, landlords, developers or private sellers for your information only. We do not verify the property details provided to us and therefore make no warranties or representations as to their accuracy or completeness. If you rely on these details, you do so at your own risk. We recommend that you check all property details with the advertising estate agent, landlord, developer or private seller before making any decisions or taking any action in regards to a property advertised on our Website. The information on this Website is for general interest only and does not constitute specific advice. We reserve the right to amend "without notice" the advertising packages, pricing and property limits that our packages offer. The copyright and all other intellectual property rights in this Website (including all database rights, trademarks, service marks, trading names, text, graphics, code, files and links) belong to us or our licensor(s). All rights are reserved. You may download material from this Website for the sole purpose of using this Website. However, you must not copy, transmit, modify, republish, store (in whole or in part), frame or pass-off any material or information on or downloaded from this Website without our prior written consent. To receive details of properties on this Website, you must complete a registration form and provide your (full legal name, current address, valid email address, member name and any other information needed to complete the signup process). You must qualify that you are 18 years or older and must be responsible for keeping your password secure and be responsible for all activities and contents that are uploaded under your account. You undertake that all information provided by you for the purposes of registering with us is accurate and complete. We may refuse your application for registration. If we accept your application for registration, we will confirm this by sending you an email containing your account ID. Each registration is for a single user only. You must not share your username and password with any other person or with multiple users on a network. You accept sole responsibility for all use of and for keeping secret any account ID and password that may have been given to you or chosen by you for use on this Website. You will notify us immediately of any unauthorised use of them or any other breach of security of this Website of which you become aware. This Agreement will remain in full force and effect while you use the Website. You may terminate your membership at any time for any reason by following the instructions on the "TERMINATION OF ACCOUNT" in the setting page. We may terminate your membership for any reason at any time. If you are using a paid version of the Service and we terminate your membership in the Service because you have breached these Terms, you will not be entitled to any refund of unused subscription fees. Even after your membership is terminated, certain sections of these Terms will remain in effect. This Website contains links to websites operated by third parties that are not controlled by us. We make no warranties or representations as to the accuracy or completeness of their content and information. The links are for your convenience only. We do not recommend any products or services advertised on those websites and we are not responsible for any misleading or inaccurate information. If you decide to access any third party website linked from this Website, you do so at your own risk. When you use the "contact forms" on this Website to enquire about a property, your details (including your email address) will be sent by email directly to the estate agent, landlord, private seller or developer marketing the property or properties that you are enquiring about. We do not accept any liability for any subsequent communications that you receive directly from that estate agent, landlord, private seller or developer. Illegal and/or unauthorised uses of the Services, including unauthorised framing of or linking to the Website will be investigated, and appropriate legal action may be taken. Some links, however, are welcome to the site and you are allowed to establish hyperlink to appropriate part within the site provided that: (i) you post your link only within the forum, chat or message board section; (ii) you do not remove or obscure any advertisements, copyright notices or other notices on the placed at the site; (iii) the link does not state or imply any sponsorship or endorsement of your site and (iv) you immediately stop providing any links to the site on written notice from us. However, you must check the copyright notice on the homepage to which you wish to link to make sure that one of our content providers does not have its own policies regarding direct links to their content on our sites. We will not be liable for any loss suffered as a result of your use of the Website or information contained on it. Further we will not be liable for loss of your password or account ID caused by a breakdown, error, loss of power or otherwise caused by or to your computer system. We will not be liable to you for any loss or damage, in contract, tort, breach of statutory duty or otherwise, even if foreseeable, arising under or in connection with the use of, or inability to use, our Website or the use of or reliance on any content or information displayed on our Website. Further if you are a business user we shall not be liable to you for any indirect, consequential, special or punitive loss, damage, costs and expenses, loss of profit, business, reputation or goodwill or loss of, damage to or corruption of data. If you are a consumer, please note that we only provide our Website for domestic and private use. You agree not to use our Website for any commercial or business purposes and we have no liability to you for any loss of profit, loss of business, business interruption or loss of business opportunity. We will not be liable for any failures due to hardware, software or internet errors or unavailability, or any other circumstances beyond our reasonable control. We will not be liable for any loss or damage caused by a virus, distributed denial of service attack or other technologically harmful material that may infect your computer equipment, computer programmes, data or other proprietary material due to your use of our Website or to your downloading of any content on it or any website linked to it. We do not warrant that your access to, or the running of, this Website will be uninterrupted or error free and we will not be liable for the consequences of any interruptions or errors. We may change, restrict access to, suspend or discontinued the site or any part of it at any time. The information, content and services on the site are provided on an "as is" basis. When you use the site and or participate therein, you understand and agree that you participate at your own risk. We may suspend, withdraw, discontinue or change all or any part of our Website without notice. We shall not be liable if we cannot process your details due to circumstances beyond our reasonable control. We do not warrant that any material available for downloading from this Website will be free from infection, viruses and/or similar code. We make no warranties or representations that the property information on this Website is correct, accurate or up-to-date. Failure by us to insist upon strict performance of any of these Terms shall not be deemed a relinquishment or waiver of any rights or remedy that we may have, nor shall it be construed as a waiver of any subsequent breach of these Terms, and these Terms shall continue to be in full force and effect. You may not assign or transfer any benefit, interest or obligation under these Terms. The provisions of the Contracts (Rights of Third Parties) Act 1999 shall not apply to these Terms. In the event that any provision of these Terms is found invalid or unenforceable, such provision shall be deemed to apply only to the maximum extent permitted by law, and the remainder of these Terms shall remain valid and enforceable. These Terms encompasses the entire agreement between us and you, and supersedes all prior or contemporaneous agreements, representations, warranties and understandings with respect to the Website, the contents and materials provided by or through the Website, and the subject matter of these Terms. If you are a consumer user, these Terms are governed by English Law and will be subject to the exclusive jurisdiction of the courts of England and Wales. If you are a business user, these Terms are governed by English law and will be subject to the exclusive jurisdiction the courts of England and Wales, irrespective of your country of residence.